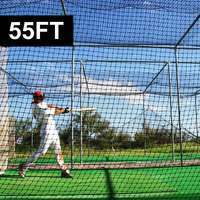 Super-strong 40ft two-piece batting cage net for protection of players and surroundings during baseball training. 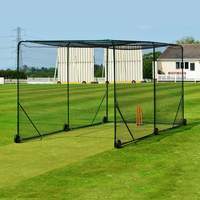 Choose your netting weight, height and width. 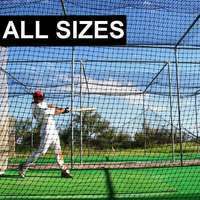 All of our #36, #42 and #62 weight baseball batting cage nets are engineered from robust high-density polypropylene to stop stray balls. 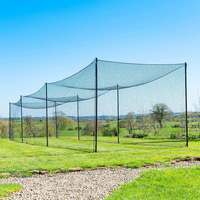 We’re confident that you won’t need it, but we offer a 5-year guarantee to cover the materials and workmanship of all our baseball batting cage nets. 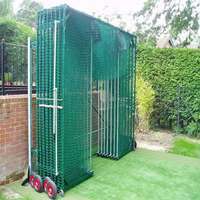 With all four sides and a roof panel, you can attach to your cage, wires or poles, and immerse yourself playing ball in a fully enclosed cage. 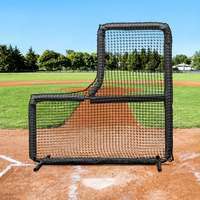 Protect your players and surroundings from stray balls with the best quality baseball batting cage nets on the market. 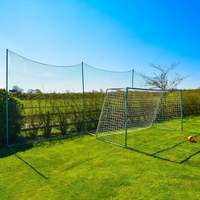 Fortress netting is unparalleled in both durability and affordability and is 100% weatherproof so you can enjoy high intensity baseball training both indoors and outdoors. 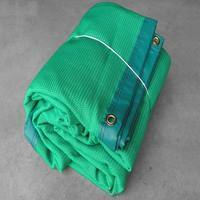 The strong knotted twine sets your players free to unleash their full potential without fear of injuring teammates or damaging your facility. 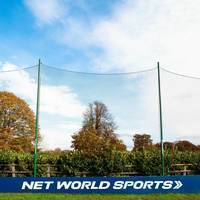 With a supple multi-filament knotted twine construction, our two-piece baseball batting cage nets are incredibly diverse and can be applied to suspended wires or fixed to steel poles or batting cages. 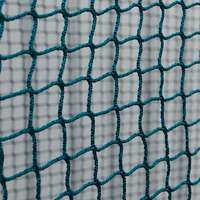 The Fortress range of baseball netting is hugely popular and used by professional teams around the world, and it’s easy to see why. 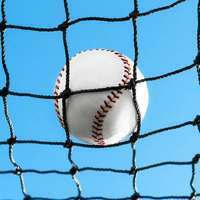 No matter how powerful your pitchers or how hard your hitters can strike a ball, our nets are more than a match and are essential for aspiring MLB stars. At Fortress everything we do, from the designing process to the manufacturing process, is focussed on providing budding batters and perfect pitchers with tools that are of the highest practicality, performance and durability. 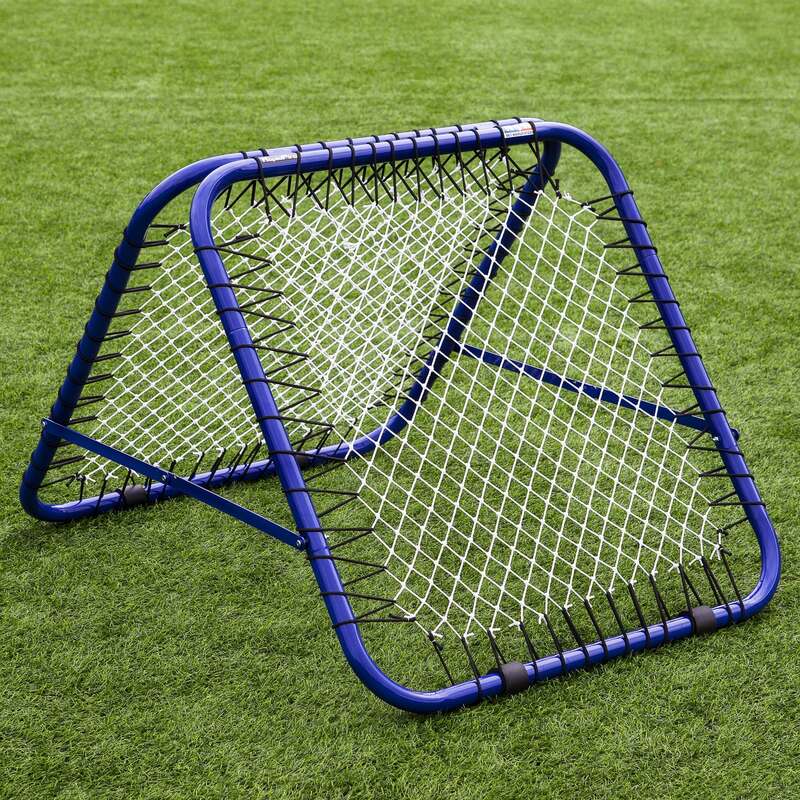 Find all the essentials at incredible prices, from baseball hitting mats, L screens, and pitching machines to compliment your baseball batting cage nets and flourish in an MLB standard training camp right on your doorstep. *Warranty covers a 5-year period from date of purchase. 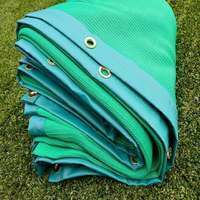 Warranty covers defects in material or workmanship across all batting cage products. I have a 45x24 foot building and wishbone to put a cage inside. What length do you recommend? 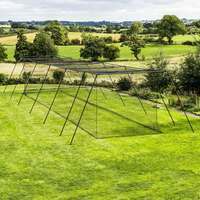 Thank you for your question, a 40ft x 10 x 10 or 40ft x 12 x 12 would work nicely with the spacing that you have. If you would like any pricing or further information on this please contact sales@networlddports.com who will be able to assist you.